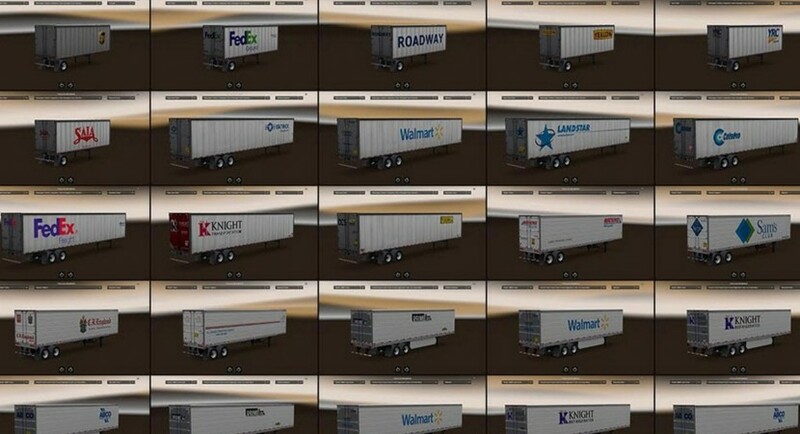 This mod replaces the default box trailers (Dry Van Short, Dry Van Long, Reefer, Reefer 3000R Short, Reefer 3000R Long) with 27 realistic company trailers. 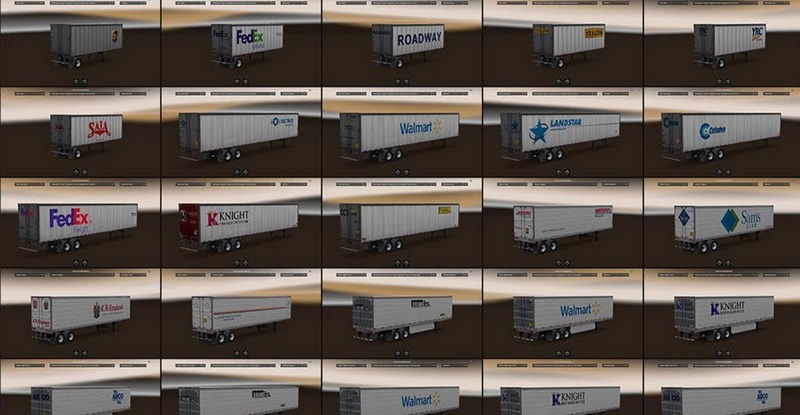 Extensive research was done for the mod and the skins include details such as warning decals and trailer manufacturer decals. The skins are also upscaled from 1024×1024 to 2048×2048 for extra detail. Because the skins are upscaled to 2x the size of standard textures, these skins may cause FPS loss on underpowered computers. 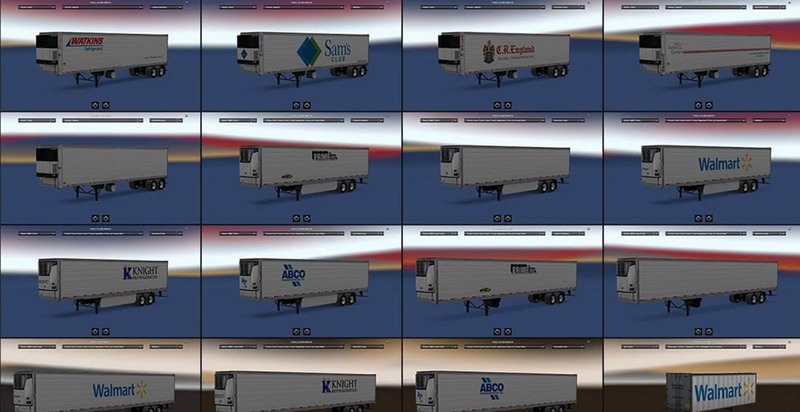 Both the 48′ and 53′ variants of the Reefer 3000R trailers use the same texture, thus the skins are duplicated for both variants. Also because of this limitation, the decal placements on the 53′ variant of certain skins may not be exactly the same as the real trailer. Several plain skins are included and may later be replaced with other companies. 1. 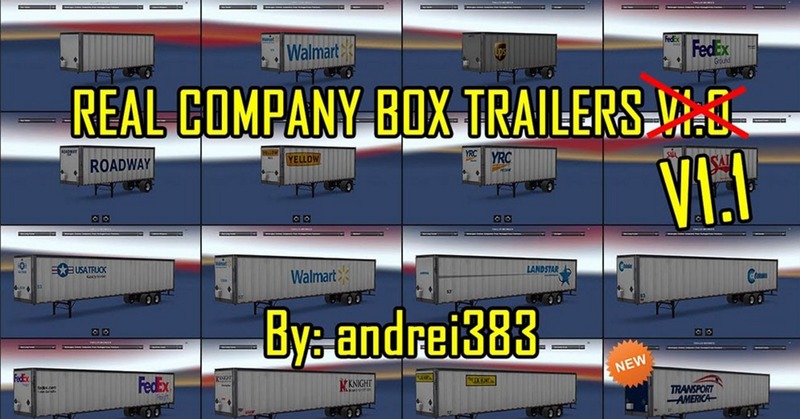 Copy the “Real_Company_Box_Trailers_1.1_andrei383.scs” file into your American Truck Simulator mod folder. 3. Increase the priority of the mod so that it has higher priority than other trailer mods.